Epic Games could be getting crazy with new consumables. 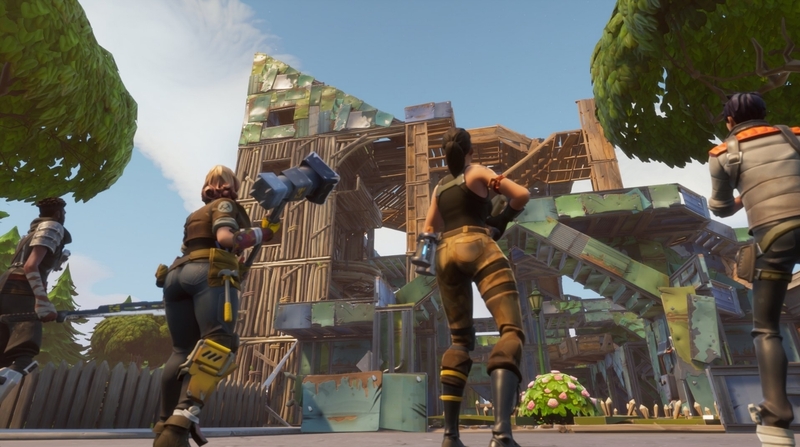 Even more potential new items could be coming to Fortnite: Battle Royale, according to database website Storm Shield One. A slew of new consumables have been found in the game’s files, which means that nothing is confirmed just yet. But they definitely give an idea as to what kind of wacky things Epic Games has been cooking up behind the scenes. One of the craziest new items is called “MOAB,” which stands for Mother of All Bombs. The description reads that it “[l]aunches a tiny rocket that makes a big BOOM!” It looks like a handheld missile launcher, and it’s completely ridiculous. Another item is the “Air Strike Laser,” which does exactly what it sounds like. It allows you to “[m]ark a location to deliver an Air Strike with 4 Bomb payload.” This one sounds like it could be a real game-changer if it ever makes it into the game. A “Bottle Rocket” is also in the files, but the description says it hurls a grenade, which makes it sound like more of a mortar launcher than anything else. But knowing Epic Games, it will probably be silly, too. A lot of these items sound pretty strong and like they have the potential to change the game in a big way, so stay tuned over the coming weeks to see if and when Epic decides to roll them out to the live servers.